Count Dracula may be the most well known vampire, but he is far from the only bloodsucker to set his appetite on mankind. Learn now of the dark brood that haunts the darkness of night! 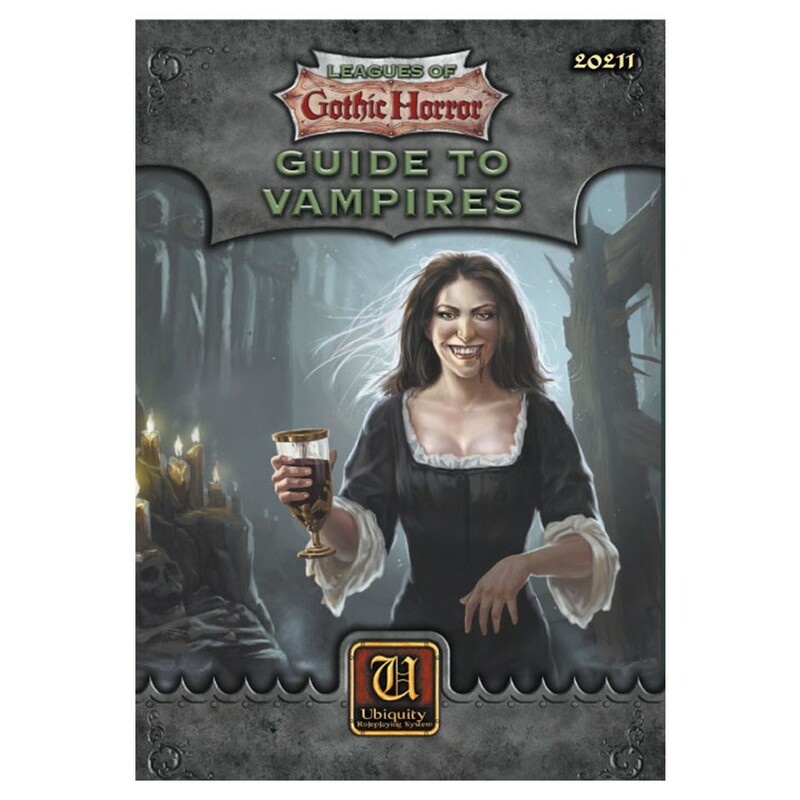 This sourcebook is a detailed guide to vampires and other bloodsuckers for the Ubiquity roleplaying system. Contents include an overview of mankind’s nature of vampires & means by which they may be created & destroyed, a list of fearsome powers for customizing vampires, a bestiary of bloodsuckers from around the globe, and a number of unique vampires.